Are you in search for a hood cleaning service company in the Denver area? That’s great, because you’ve come to the right place. ProCo Hood Cleaning is proud to be a top provider of hood cleaning services in the Denver area. When you’re working with us, you’ll always be working with the best. We will only send qualified, licensed hood cleaning professionals your way. 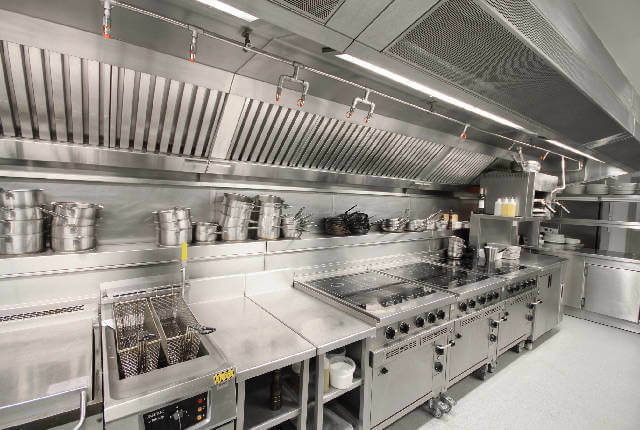 If you have been in the commercial food business for a while, it’s probably no secret to you that your kitchen hood system should be cleaned and maintained up-to-code. However, many newer restaurant managers and owners may not be aware of this: many insurance companies, fire marshals, and the local board of health regulations will require that you have your exhaust hood system cleaned regularly. A “regular” schedule varies from business to business. It depends on how much grease you use and how often. As a general rule, a hood should be cleaned every 90 days, but some businesses can go as long as a year. Check with your insurance company or board of health for an accurate hood cleaning schedule. They will also strongly suggest having a professional do this for you. ProCo Hood Cleaning is a hood cleaning service company that believes you should always have the best cleaning service possible. Our team trained for many months (or even years) to become licensed hood cleaners. We are knowledgeable about your equipment, our cleaning tools, and what it will take to ensure your restaurant is safe and up-to-code. To properly clean your hood exhaust system, we will need to disassemble it, and perform a thorough hood system inspection. We will determine any safety hazards or code violations. As educated professionals in this category, we can do this efficiently. We will educate you along the way, always informing you of the condition of your hood system and things to keep an eye out for. When we have completed our professional hood cleaning process, you may not even recognize your hood system! As a professional hood cleaning service in Denver, we know that keeping a commercial kitchen clean can seem impossible. Sauces end up in places you never dreamed of, plates get shattered, and residue just builds up. It happens very easily and quickly and some of this build-up just can’t be removed with daily cleaning. If you think your kitchen is beginning to look a little dingy or put of a foul odor, or if you just can’t stand to look at the mustard stains on the walls anymore, call us. 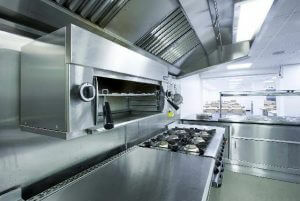 Our team can offer additional commercial kitchen cleaning services. We can use pressure washing, steam cleaning, and special chemicals to ensure that your kitchen is truly stunning when we are finished. 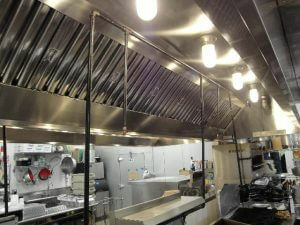 ProCo can clean walls, floors, ceilings, hood systems, and even offer services to clean up the dining areas as well. If you’re nervous about an upcoming inspection and you’re looking for a way to impress your inspector, call us. We will make you shine. Our technicians can also help you out in the safety category by inspecting your hood system and ensuring that everything is up-to-date and properly functioning. We know the stress of calling a new company to your precious place of business. The wonder of what kind of creature you will have showing up at your door step can be horrifying. However, when you’re working with ProCo you can always be assured that you are working with the best and most qualified hood cleaning professionals in the Denver area. We will always treat you, your employees, and your property with respect. We will educate you and work to impress you. Our goal is to do continued business together. We want you to always be able to call us for your commercial kitchen cleaning needs. So let’s start a working relationship and get to work! Call us today to set up an appointment.